A1 - Formula 420 Pyrex-Glass-Metal-Ceramic Pipe Cleaner. 12oz. 1ct. 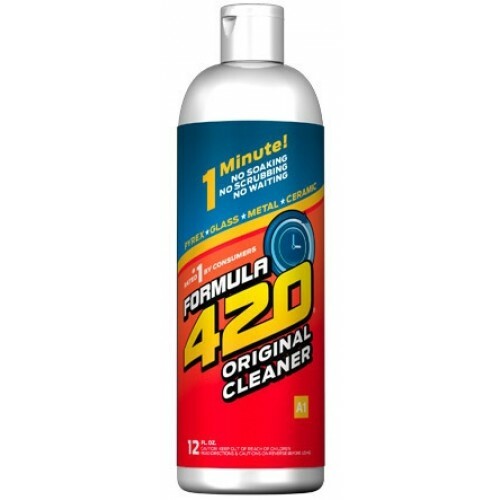 Formula 420 for Pyrex, Glass, Metal and Ceramic is the original complete 1 minute cleaner. Exclusive AbrasivAction technology eliminates the need for soaking and scrubbing. Simply Shake, Rinse and Enjoy!